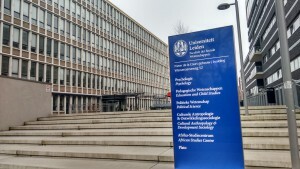 Thursday the 24th of March 2016, a seminar was organized by the African Studies Centre (ASC) in Leiden. The title of the seminar was “Empty Promises? 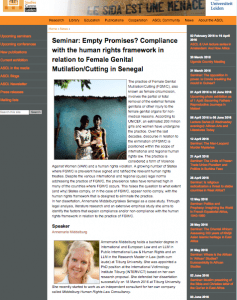 Compliance with the human rights framework in relation to Female Genital Mutilation/Cutting in Senegal.” The seminar was held at the Pieter de la Court building of the Faculty of Social and Behavioural Sciences of Leiden University. I felt very honored that the ASC invited me to speak at one of their lively, challenging and thought-provoking seminars in Leiden. And this seminar was dedicated to my PhD research! 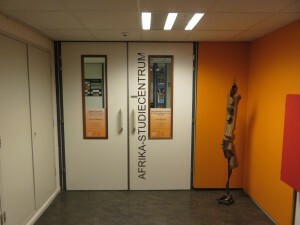 It was therefore with great enthusiasm that I traveled to Leiden the 24th of March to give a lecture about the practice of FGM/C. 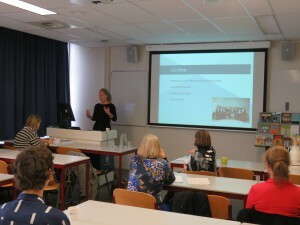 The audience that attended the seminar consisted of academics from various disciplinary backgrounds, representatives of Dutch organizations working in the field of FGM/C (such as FSAN, Amref Flying Doctors and Pharos) and students of Leiden University. My lecture consisted of three parts. 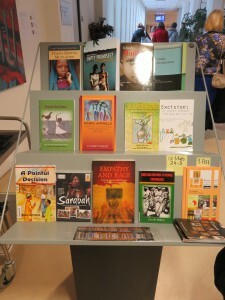 I started with an introduction to the practice of Female Genital Mutilation/Cutting. I showed a short movie of the Trust Women Conference and I explained the audience what the practice of FGM/C entails. I elaborated on the different types of FGM/C, the age at which FGM/C occurs, the health implications and the reasons for the practice. I also explained that FGM/C is not only an ‘African problem’, but that it is practiced in many countries in the Middle East and Asia as well. The second part of my lecture focused on my own PhD research. I explained why I conducted my research, focusing on the problem definition, my research design and research questions. I shortly elaborated on my theoretical framework (Chapter II of my dissertation) in which I analyze theories of state compliance with international law. Afterwards, I explained why the international community classified FGM/C as a form of Violence Against Women (VAW) and which human rights are being violated and where these human rights can be found. I also showed how I constructed a normative framework (in Chapter IV of my dissertation). The final part of my lecture consisted of the main findings of my case study in Senegal. I shared with the audience my experiences in relation to my fieldwork in Senegal, as well as the problems I identified in relation to the ‘compliance question’. In Senegal, there is a strong commitment towards the human rights framework in general and to end the practice of FGM/C in particular. However, the national prevalence of FGM/C remained fairly constant. How is that possible? Among other things, I discussed the influence of the Marabouts, the lack of national capacity and resources, the importance of political personalities and issues related to legitimacy and fairness. 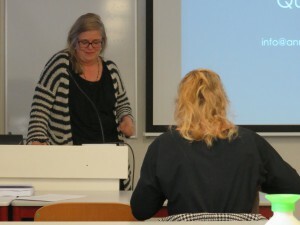 Anke van der Kwaak was invited as a discussant to give some initial comments after my lecture. She raised interesting points for discussion and very insightful comments that I reflected upon. As a senior health adviser, trainer and project leader at KIT, she naturally looks at the practice from a different angle. While I look at FGM/C from a human rights law perspective, Anke is more focusing on health and gender-related issues. This difference in background proved to be very insightful and I hope that we will be able to work together in the future! Afterwards, the audience joined in the discussion and at 17.00h everyone was invited for drinks at the ASC. I enjoyed this seminar very much. The people who attended the seminar were all very committed to the topic, eager to learn more. It was a successful and inspiring day. I would like to thank Agnieszka Kazimierczuk, Marieke van Winden and Maaike Westra of the ASC for inviting me, as well for the two books ‘Afrika in de Wereld’ of Sthephen Ellis and ‘Islam et engagements au Sénégal’ that I received as a present. I can’t wait to start reading these books!